Fifth Phantom Saga is an unreleased first person shooter that was being developed by Sonic Team for the PlayStation 3. It was revealed during the Sony E3 2005 press conference alongside a gameplay trailer, and was one of the first games to be shown running on the system. Another trailer was shown at Tokyo Game Show 2005, after which Sega went quiet on the game. Both trailers were poorly received by gaming websites. It's likely that this game served as the inspiration for Silver the Hedgehog's gameplay in Sonic the Hedgehog (2006). 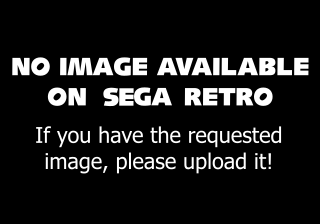 In an interview about the game with Shun Nakamura that was included with the Sega Mega Drive Collection, it is mentioned that Silver's psychokinetic powers were originally designed for a different action game. The trailers for Fifth Phantom Saga showed that the game would have revolved around controlling a phantom that has abilities similar to Silver's.